I took some video of the Lunar eclipse on 27 October 2015. Since there won't be another one for a while - 18 years I hear, but who's counting - I figured I'd post the video here for posterity and whoever wants a peek. Please be forewarned - it's over an hour of footage. I broke it up into five-minute chunks, you may want just a manageable taste. First, here is an hour-long version. 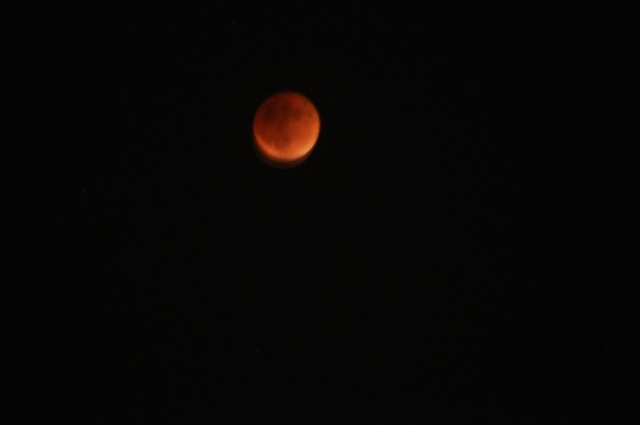 The moon is tiny, just a red dot that slowly turns white, no photo-lens on this one. Still, it has a certain serenity to it. After the first one, they are in consecutive order.